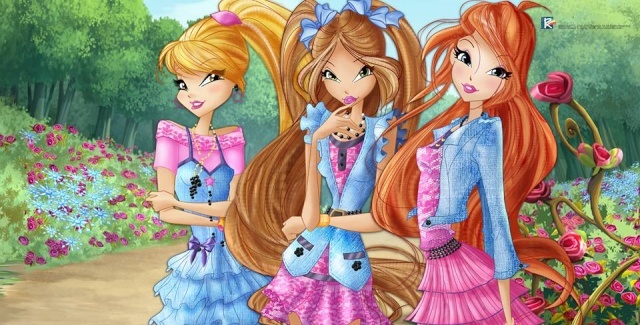 ||--Winx Club Dutch| |--WELKOM!| |--Bloom4ever| |--Fun zone| |--Helia’s gallerij| |--Magix Mall| |--Chatta!| |--HELP!| |--Winx Club German| |--Willkommen!| |--Spaß Zone| |--Club Bereich| |--Zauberhaftes Magix| |--Chat| |--Hilfe!| |--WINX CLUB English| |--WELCOME!| |--Bloom 4ever| |--Flora's Tales| |--Fun Area| |--Contest Area| |--Enchanted Art Gallery| |--Role Play Zone| |--Club Area| |--Chatta!| |--HELP!| |--Winx Club Spanish| |--Bienvenidos!| |--Área de diversión| |--Área Club| |--Galería de Arte Encantada| |--Chatta!| |--¡AYUDA!| |--Winx Club French| |--Bienvenue!| |--Bloom 4ever| |--Fun area| |--Fan Clubs| |--Place des Concours| |--Galerie d'Art Enchantée| |--Chatta!| |--AIDE!| |--Winx Club Italian| |--Angolo delle Presentazioni!| |--Che divertimento!| |--My Club| |--Area Contest Magici| |--Enchanted City| |--Chatta!| |--HELP!| |--Winx Club Portuguese| |--Bem-Vindo!| |--Área da Brincadeira| |--Área de Clubes!| |--Área de Concursos| |--Galeria de Arte Encantada| |--Magix| |--Chatta!| |--AJUDA!| |--Winx Club Russian| |--Добро пожаловать!| |--Блум навсегда| |--Веселые зоны| |--Фан клубы| |--Волшебная галерея| |--Зачарованный город| |--Чат| |--Помощь| |--Winx Club Turkish |--HOŞGELDİNİZ! |--Oyun dünyası |--Fan Club Alanı |--Sihirli Yarışma Alanı |--Sihirli Sanat Galerisi |--Magix Alış-Veriş Merkezi! |--Sohbet |--YARDIM! Jump to: Select a forum||--Winx Club Dutch| |--WELKOM!| |--Bloom4ever| |--Fun zone| |--Helia’s gallerij| |--Magix Mall| |--Chatta!| |--HELP!| |--Winx Club German| |--Willkommen!| |--Spaß Zone| |--Club Bereich| |--Zauberhaftes Magix| |--Chat| |--Hilfe!| |--WINX CLUB English| |--WELCOME!| |--Bloom 4ever| |--Flora's Tales| |--Fun Area| |--Contest Area| |--Enchanted Art Gallery| |--Role Play Zone| |--Club Area| |--Chatta!| |--HELP!| |--Winx Club Spanish| |--Bienvenidos!| |--Área de diversión| |--Área Club| |--Galería de Arte Encantada| |--Chatta!| |--¡AYUDA!| |--Winx Club French| |--Bienvenue!| |--Bloom 4ever| |--Fun area| |--Fan Clubs| |--Place des Concours| |--Galerie d'Art Enchantée| |--Chatta!| |--AIDE!| |--Winx Club Italian| |--Angolo delle Presentazioni!| |--Che divertimento!| |--My Club| |--Area Contest Magici| |--Enchanted City| |--Chatta!| |--HELP!| |--Winx Club Portuguese| |--Bem-Vindo!| |--Área da Brincadeira| |--Área de Clubes!| |--Área de Concursos| |--Galeria de Arte Encantada| |--Magix| |--Chatta!| |--AJUDA!| |--Winx Club Russian| |--Добро пожаловать!| |--Блум навсегда| |--Веселые зоны| |--Фан клубы| |--Волшебная галерея| |--Зачарованный город| |--Чат| |--Помощь| |--Winx Club Turkish |--HOŞGELDİNİZ! |--Oyun dünyası |--Fan Club Alanı |--Sihirli Yarışma Alanı |--Sihirli Sanat Galerisi |--Magix Alış-Veriş Merkezi! |--Sohbet |--YARDIM!